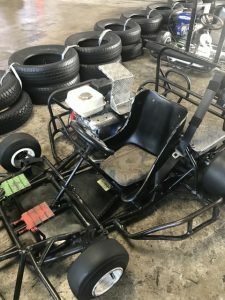 Unlike other race tracks where you have to be 7+ and over a certain height to drive the go-kart, this race track has special smaller karts for those aged 5 – 9 years. Those kids 4 years and under can also be a passenger in the kart that a parent is driving. As such, it’s a great family orientated place to come, especially if it’s an indoor kind of a day! The track is very smooth and slippy but staff are on hand to help anyone who gets stuck. It’s quite tiring, so if you’ve never been before, 10 minutes is probably long enough and it can pay to go a little earlier, so that you can spend a few minutes watching other drivers before you. They give out racing data at the end of your session so everyone can see their timings, not that it needs to be a competition! Open: Monday 12 – 7pm, Tuesday, Wednesday & Thursday 12 – 8pm, Friday 12 – 9pm, Saturday 11am – 9pm, Sunday 11am – 7pm. Price: Adult karts (10 year olds and over) $20/10 minutes, $25/15 minutes, $30/20 minutes, $40/30 minutes. 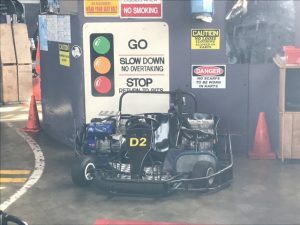 Kids’ karts (5 – 9 years) $15/10 minutes, $20/15 minutes, $25/20 minutes. Double seater (adult driver and kid aged up to 4 years as a passenger) $20/10 minutes, $25/15 minutes, $30/20 minutes.